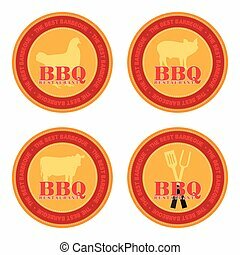 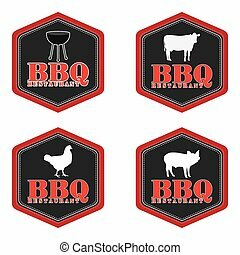 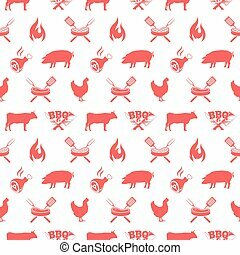 Barbecue ticket vector design with cow, pig and chicken. 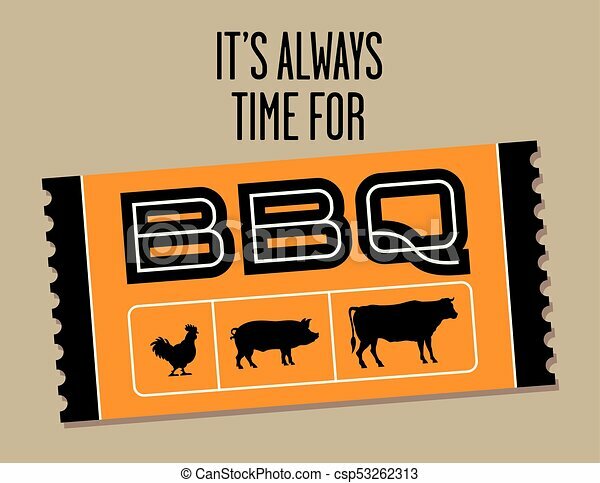 Vector graphic featuring ticket shaped barbecue graphic and the phrase it’s always time for bbq. 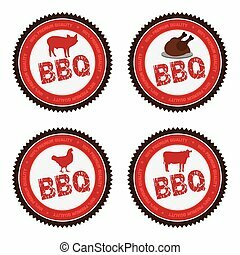 Barbecue Ticket Vector Design With Cow, Pig And Chicken. 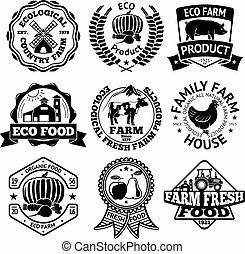 Fresh Farm Produce icons. 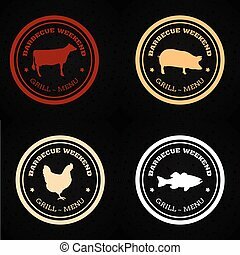 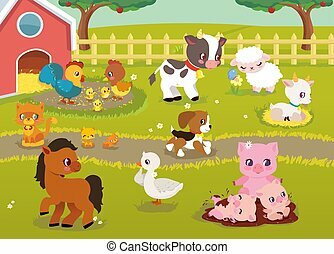 vector logo with picture of farm chicken, pig and cow, beef. 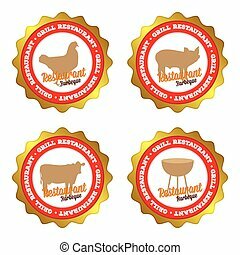 Retro Cattle and Poultry Vector Logo Templates Set. 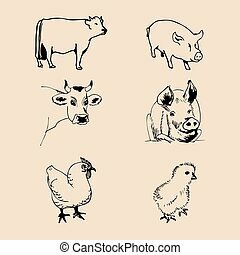 Hand Drawn Vintage Domestic Animals and Birds Sketches with Vintage Typography. 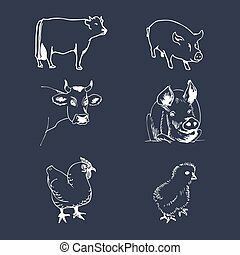 Pig, Cow, Chicken, Rabbit, Turkey, etc. 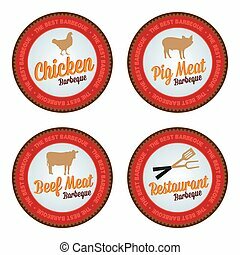 Isolated Labels Collection.